One Hit Wonder E-Liquid is one of the finest and highest quality e-liquid brands, which is taking the industry standards to the next level. They are handcrafted with only the finest ingredients, using 100% U.S. grown and extracted TruNic liquid nicotine. 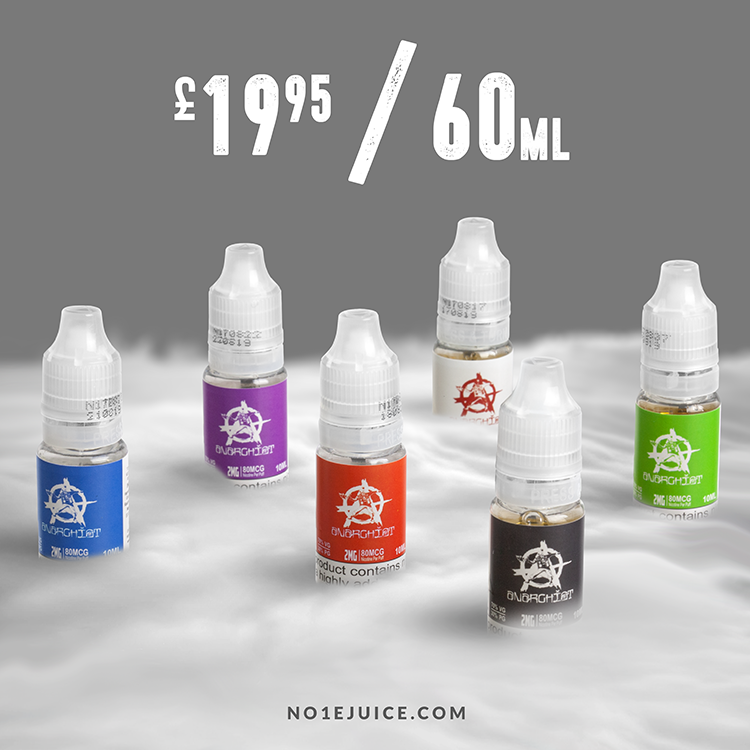 The flavours come in 180ml squeeze bottles along with two free empty 15ml plastic Unicom bottles. The flavours are well-balanced between sweet undertone of warm cinnamon muffin and apple. None of the flavours are overwhelming; they are uniquely blended together quite nicely. They have a great vapour production with thick, juicy and delicious clouds, so you will get the right amount of vapour relative to the type of throat hit you need. Having the most affordable price in the market with the highest quality e-liquid, makes One Hit Wonder the best decision you can ever make. 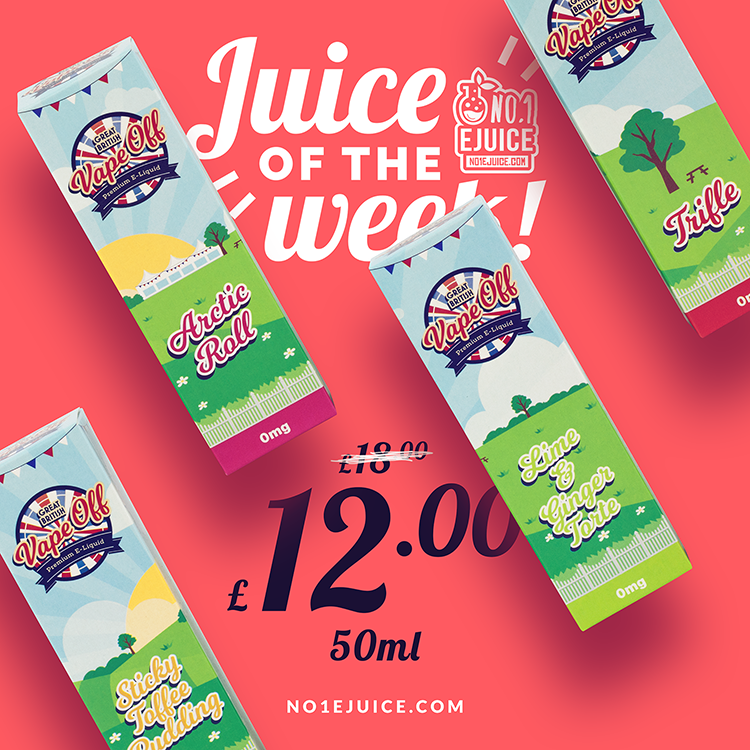 Exciting bank holiday weekend ahead of us and an even more exciting juice of the week! 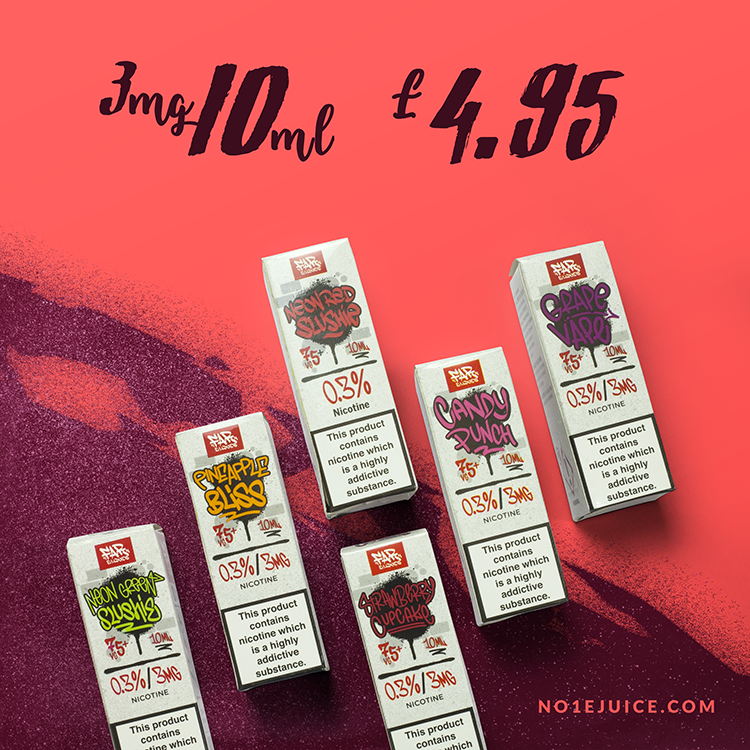 Great British Vape Off premium e-liquid. We've tried it and it's gooood! Now only £12 instead of £18 for 50ml. As always discount lasts all week and as always have nice weekend! Dinner Lady E-Liquid had won the Best Stand at the 2016 Vaper Expo in Birmingham, they have definitely made a huge impact in the vaping industry with their amazing blend of flavours across the market. Based in sunny South Florida, Element e-Liquids strives to maintain the integrity and purity of American-made e-liquid. With a broad range of unique blends and tasty basics, Element has something for every vaper. ELEMENT e-liquids are made with Pharma USP grade ingredients sourced from the most trusted names in the pharmaceutical industry, ensuring unparalleled purity and quality. The nicotine ELEMENT use is extracted from natural American tobacco leaves, not artificially created in a lab. Free from Diacetyl. 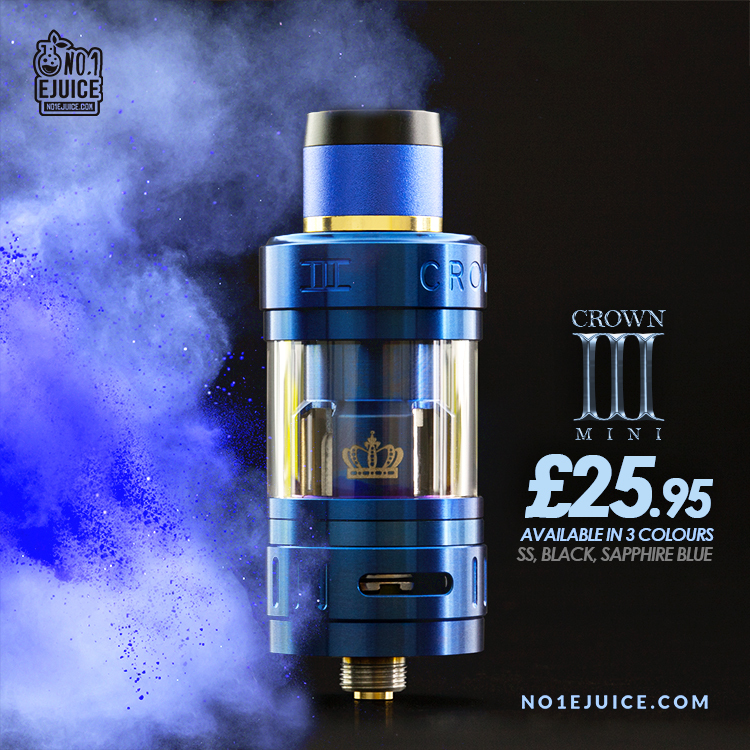 The Crown 3 Mini is compatible with all Crown 3 coils. The Uwell Crown 3 MINI is newest version of Uwell's famous Crown Tank. The Crown 3 features a 2ml juice capacity, top-filling system, and an innovative plug sub ohm coil system. Each box is provided with a Crown 3 Key to improve coil changing and tank cleaning. 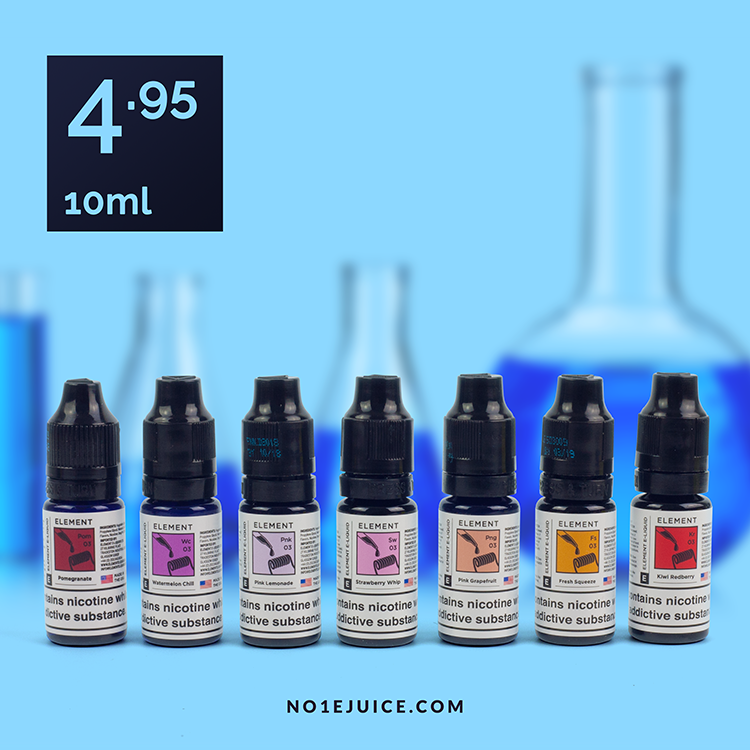 From the legends that brought you Anarchist wire, come Anarchist's own line of E-liquid. Amazing, American made e-liquid, brought to you at an affordable price! FAR E-liquid dripper series by Element is now one of our firm favourites. 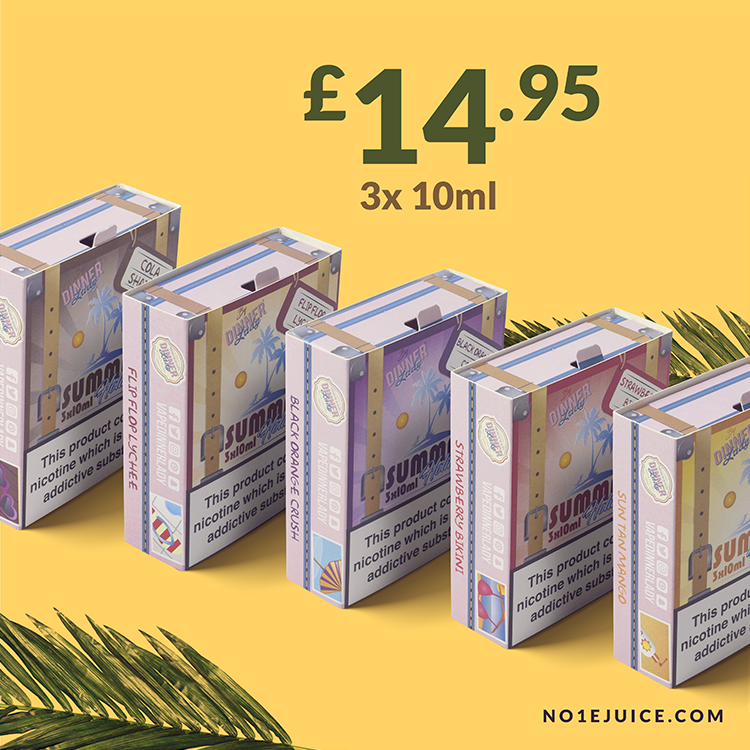 Bursting with sweet flavours and 75% VG makes this juice suitable for any tank or dripper. Far has spolit us with 5 new flavours to choose from. Each and every one makes your mouth water and beg for the next hit of lush, juicy clouds.